PHOTOS: Jillian Rose Reed Is Blue Beauty At ‘WILD’ Film Premiere! Awkward star Jillian Rose Reed looked lovely as she attended the premiere of Fox Searchlight’s ‘Wild‘ at AMPAS Samuel Goldwyn Theater yesterday, November 19th in Beverly Hills, California. The star beauty was decked out in a dressy blue thanks to Ted Baker USA! Check out more photos of Jillian at the premiere below! 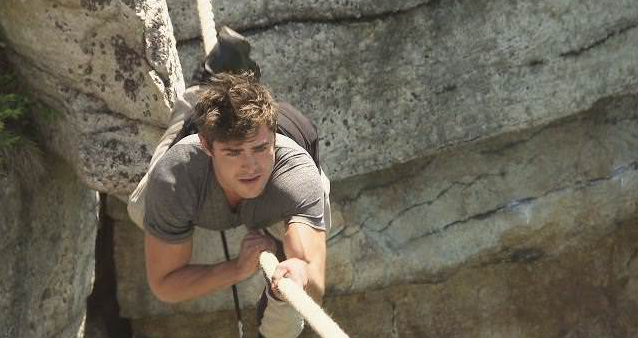 Zac Efron Has Been ‘Running Wild With Bear Grylls’ — Watch Preview Here! Famous for solo surviving the harshest conditions imaginable, outdoorsman and survivalist Bear Grylls steps one up and brings new faces along for the ride. And these new faces might be ones you never thought possible. Bear will be taking A-list celebrities into the most wild and remote regions of the world for an entire weekend. So, get ready to run wild with the series premiere on NBC next Monday, July 28th at 8/7c as Bear and famous Neighbors star Zac Efron embarks on an adventure of a lifetime! Check out a preview of the first amazing episode of Running Wild With Bear Grylls below and let us know what you think!